Hawaii weather is about as sporadic as it gets. 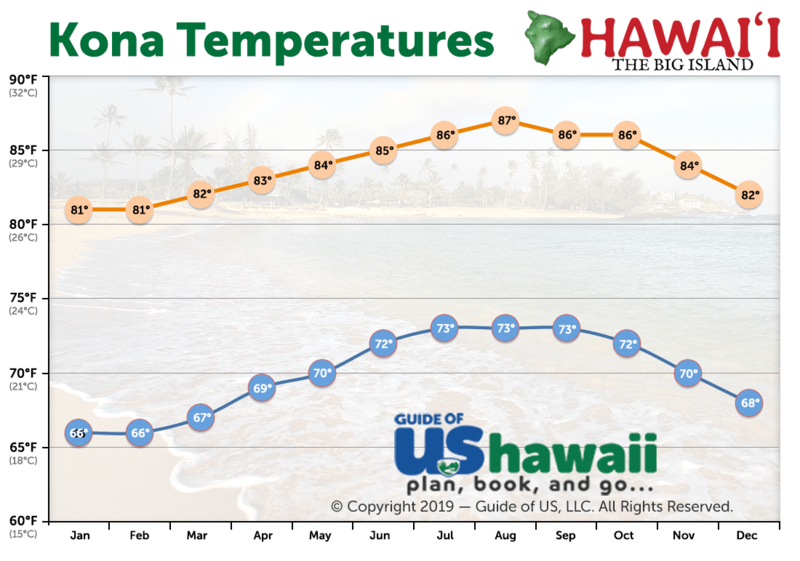 Forecasting the weather on Hawaii can be both daunting and confusing to visitors - this isn't the mainland, and the climate takes some getting used to. One minute it's raining and the next the sun's out - welcome to the tropics! Keep in mind that the weather is diverse here because the topography is also diverse. 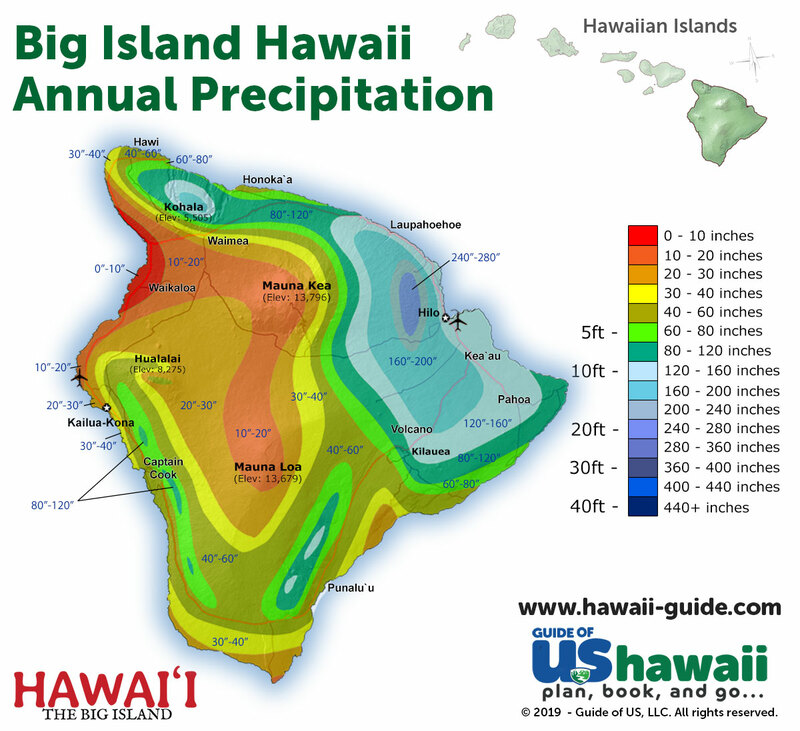 The Big Island alone has 11 of the world's climate zones. 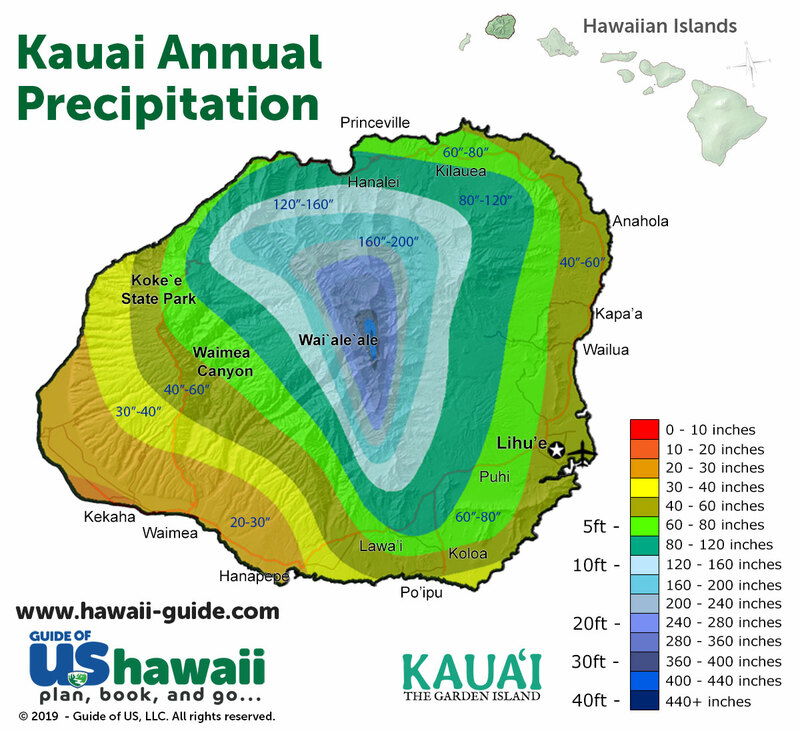 Kauai is home to what is arguably the wettest spot on earth at Wai'ale'ale (around 470" [1094 cm] annually), while Hilo, on the Big Island, is the wettest city in the United States (approximately 140" [356 cm] annually). Sounds pretty wet right? 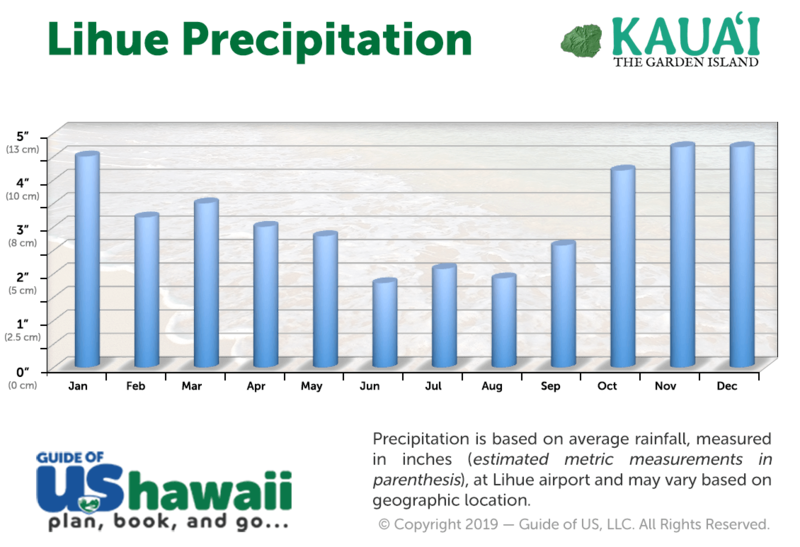 But lest we forget that just a few southwest of the wettest spot on earth, the area of Kekaha on Kauai receives only 15-25" (40-60 cm) of rain a year; quite the contrast! 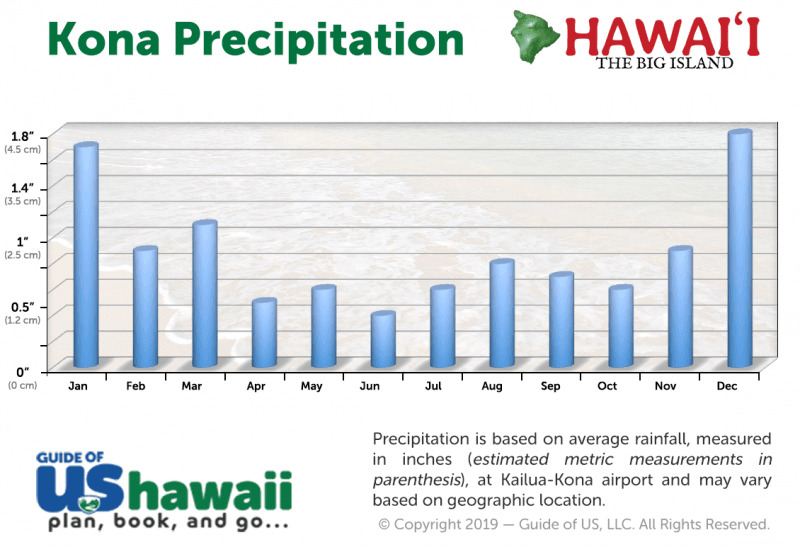 Don't let the wet locations and/or cities fool you, it can be plenty dry in Hawaii on the Leeward side of the islands. 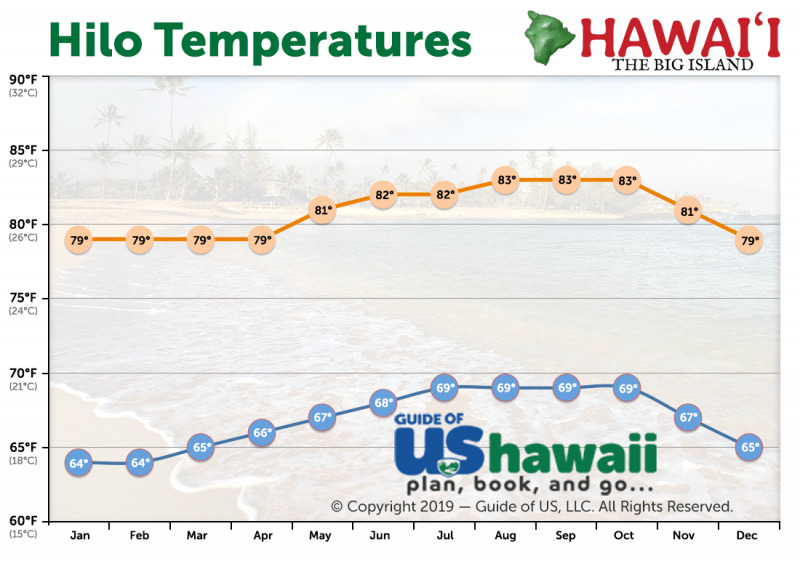 Read up on the forecasts at the University of Hawaii Weather before you visit and during your stay, as they have the best and most accurate forecast in the islands. 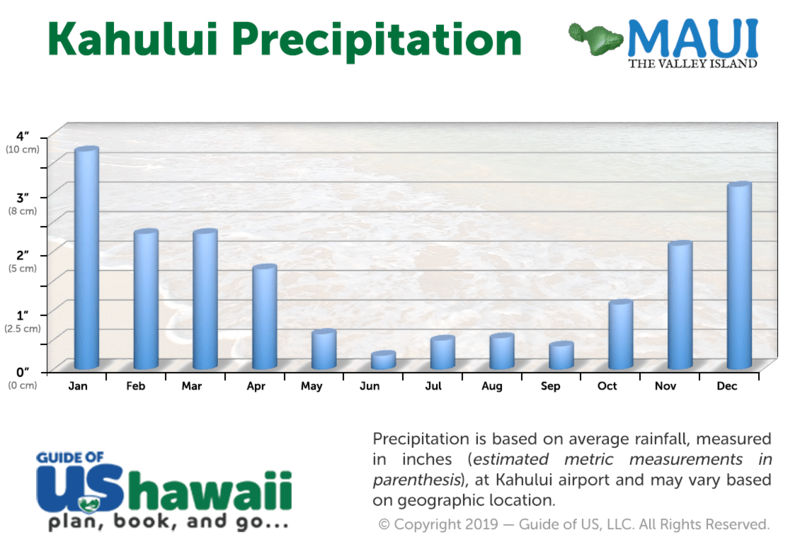 Don't listen to the Weather Channel or watch the NOAA forecast graphs, of course, they'll predict rain - it rains almost every day in Hawaii... for about 10 minutes at a time. 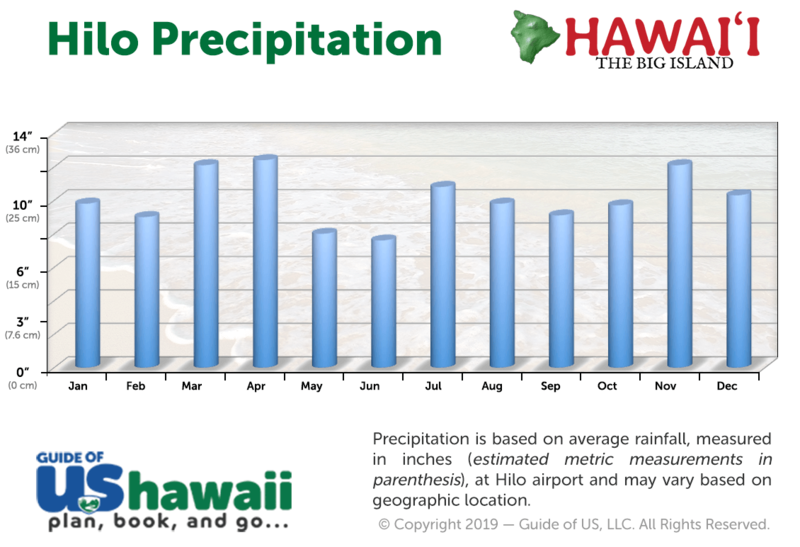 The only time it's really wet in Hawaii for a prolonged time is during the winter months, usually from November until March. 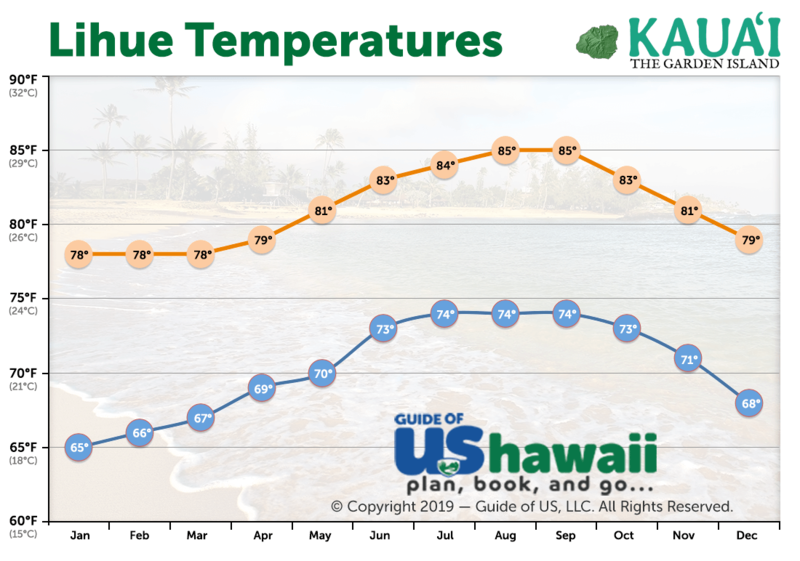 As far as temperature goes, plan accordingly for the island you're visiting. At sea level, it's usually about 76-85°F (24-29°C) all year-round. Temperatures at night are typically 12-18°F (7-8°C) cooler, but this can change dramatically depending on your altitude. Volcano, on the Big Island, or Kokee on Kauai, can get quite chilly at night for example. 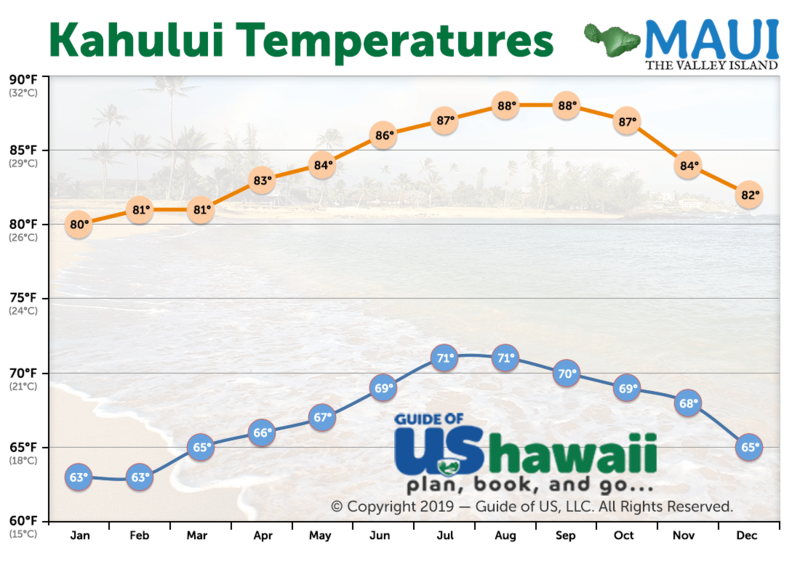 If you're planning to go up to higher elevations on either Maui or the Big Island, bring a small coat and long convertible pants. It can get very cold at the summit of the larger volcanoes - trust us on that! 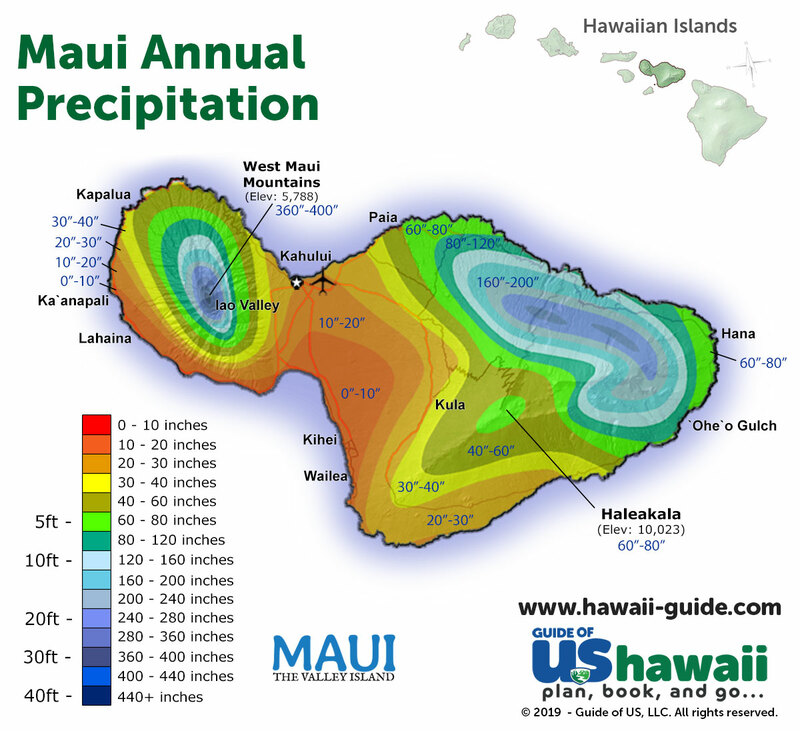 For more information, be sure to check our companion article - Hawaii Weather & Climate Patterns. 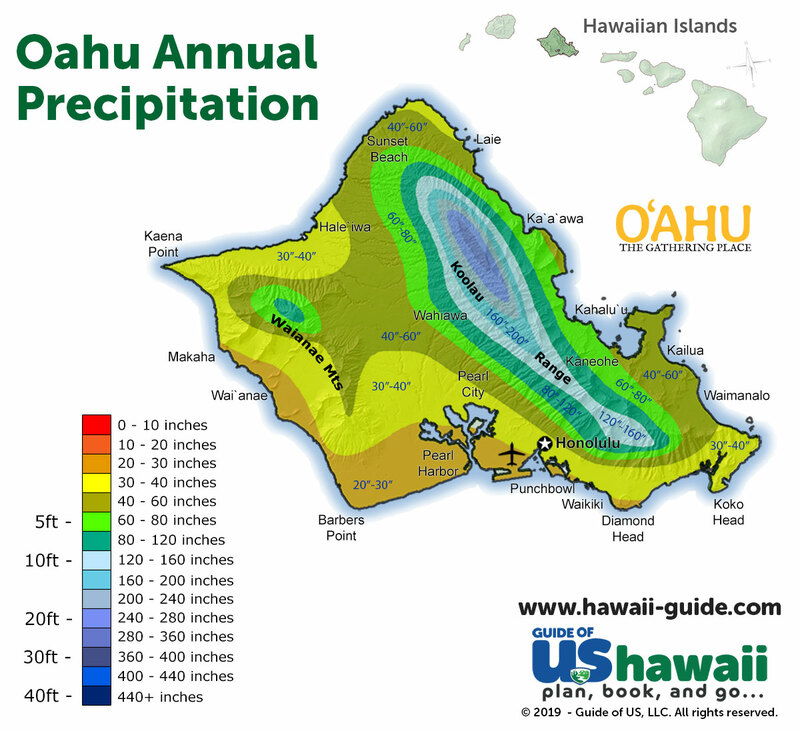 Ultimately, don't fret about the weather, it's Hawaii! Showers are typically short-lived and sporadic, and the temperature is almost always just right. Below we've pulled together our weather graphics for all of the islands showing their annual precipitation and temperatures. Please keep in mind that a lot of this precipitation occurs at night and during the winter months we noted above. 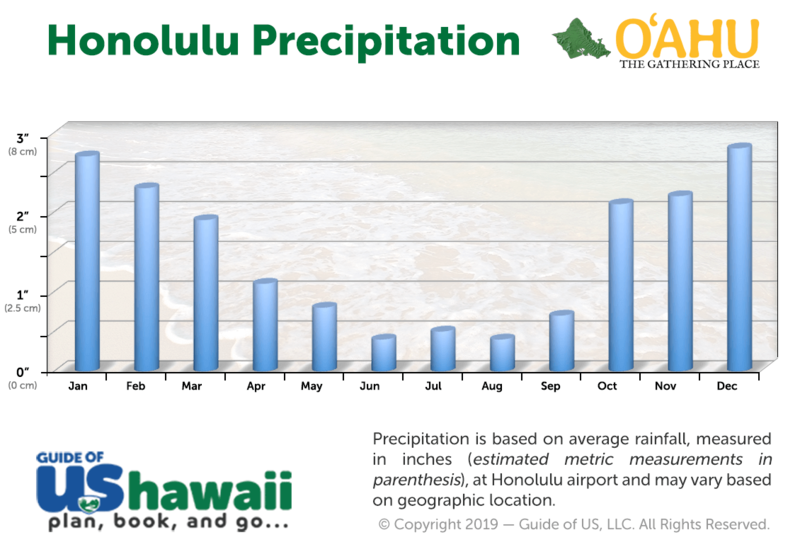 Most of the summer months from mid-April until mid-October are pretty dry as the typical summer pattern persists through the islands. 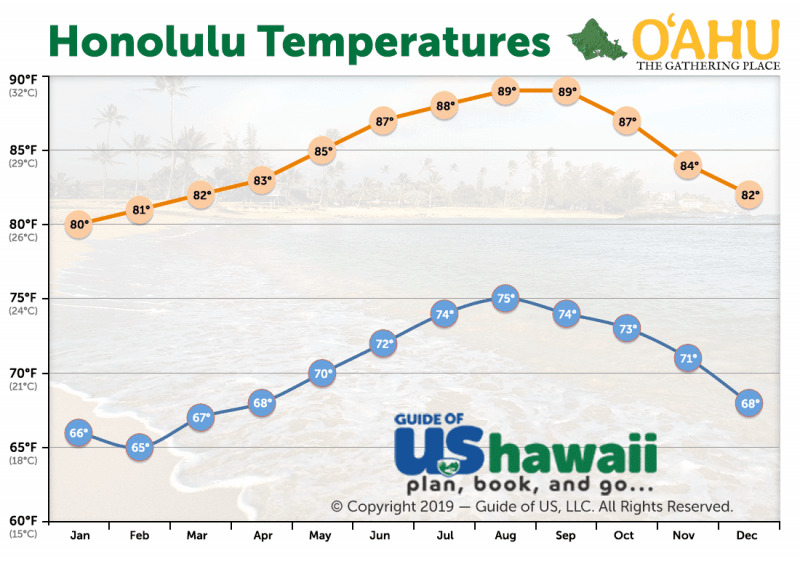 Hopefully, the Hawaii weather graphics above and our brief introduction to the weather here in the islands will help you plan an enjoyable visit. 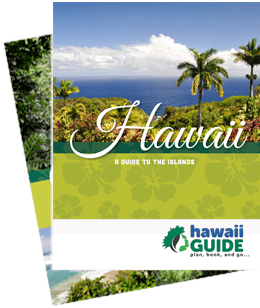 For more information about each island, be sure to visit our "When to visit" articles located within each island's homepage.